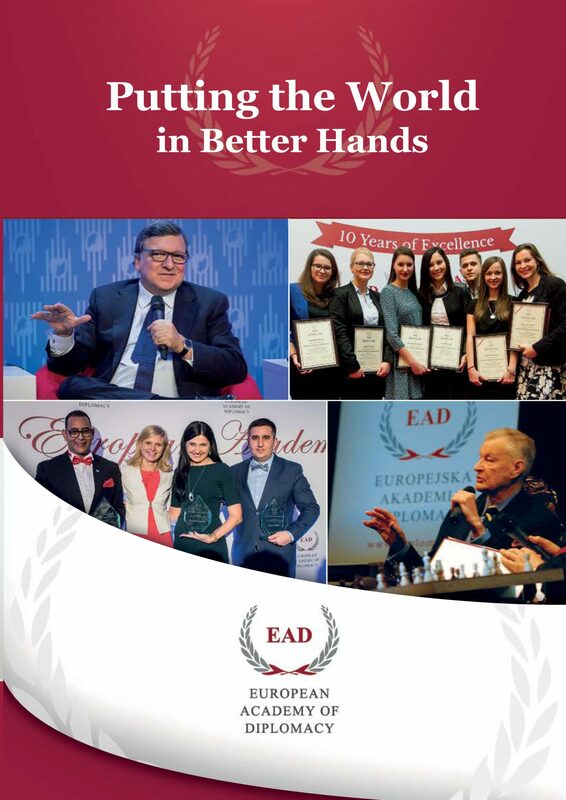 The European Diplomacy Workshops: Eastern Partnership (EDW) are the flagship international programs of the European Academy of Diplomacy. Since 2010, almost 300 participants from 50 countries attended the EDW. Designed for emerging political and social leaders, public servants and non-governmental representatives who are eager to learn how to influence the changing context of their country, it is a forum of exchanging experiences, discussing challenges and developing cooperation. Every year there are 2 sessions organized in Fall and Spring. The European Diplomacy Workshop (EDW) is a week-long program devoted to the European Union Foreign Policy, especially Eastern Partnership and European Neighborhood Policy. Based on expert-led workshops covering Southern and Eastern dimensions of the ENP, relations with Russia, as well as hands-on skills training in Leadership and Public Speaking. 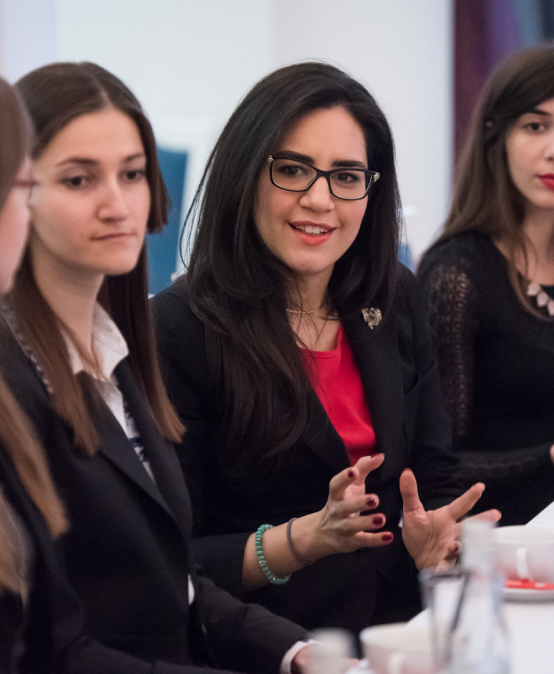 The European Diplomacy Workshop is designed for emerging political and social leaders, public servants and non-governmental representatives who are eager to learn how to influence the changing context of their country. The EDW is a forum for exchanging experiences, discussing challenges and developing cooperation, giving participants opportunities to broaden their EU and regional specific knowledge, as well as acquire and practice essential skills necessary for shaping the modern world. To apply, please fill in the online APPLICATION FORM and attach your CV. Recruitment is open! The regular application deadline is 5 November 2018! We would like to inform you that scholarship applications are not available anymore. If you are still interested in the program Fall European Diplomacy Workshop, you can fill in regular application until 5th of November. If you need, please remember that you should plan the journey in advance. Check the information at the Polish Embassy in your country. How to apply? EAD: you should fill in the application form available in the Application Form tab. I have applied, but I haven’t received the confirmation. Why? EAD: Check your spam folder for confirmation email. Additionally, within two weeks from application you will receive a follow-up email with detailed information about program and payment details. What should I do if I need visa? EAD: The procedure is more complicated. You should take into consideration that you need about month to obtain one. Once you make the payment, we will send you an official invitation. We suggest you make an appointment with the Consulate or Consular section right after receiving the payment information as the waiting times may reach several weeks. How much does the average accommodation cost in Warsaw? EAD: The average accommodation in Warsaw will costs about 200 PLN for a single room and 260 PLN for a twin room (about 50 euros). We include accommodation in the program for those who chose participation fee with accommodation. For those who chose participation fee without accommodation, we can give you recommendations for some hotels. When will I receive the acceptance letter? EAD: Obtaining a visa is a process that will take about 6 weeks, but we can not start the process more than 12 weeks in advance of the program start date. Because of this, the acceptance letter will be sent to all hopeful participants about 12 weeks before the beginning of the training. For more information, please contact Ms. Karolina Krzyżanowska at kkrzyzanowska@diplomats.pl or (+48 22) 378 11 98. Minimum lenght 300 characters or 50 words, maximum lenght 750 characters or 100 words. Please stick to the required lenght of biography, otherwise you will not be able to submit the form.